I am excited to announce that our next Coffee with Girlfriends will be August 11th. I challenge all of the ladies of New Song to put this on your calendar. 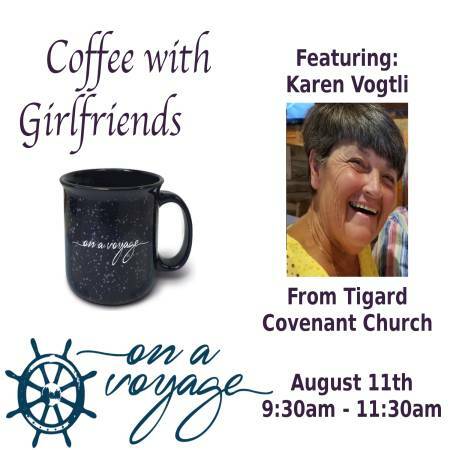 In gearing up for the up & coming Fall season we will be featuring special guest speaker, Karen Vogtli from Tigard Covenant Church in Tigard, OR. 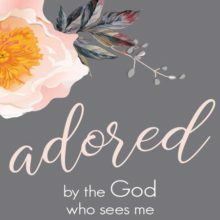 She has been involved in women’s ministry for over 20 years. She will be sharing her story and parts of her journey along with helpful tips for quick meals for the busy woman. 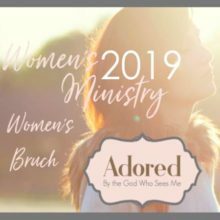 She will be demonstrating a meal as she shares her story and you will get to enjoy a sample in addition to our delicious continental breakfast. We will also be featuring with our overhead screen an album of photos taken at our Mother’s Day Brunch this past May along with some helpful ideas in time management & stewardship for a busy season. Ladies go ahead and be intentional. Plan to attend this Coffee with Girlfriends. If you need to adjust your schedule or get a babysitter, go ahead & line this up. 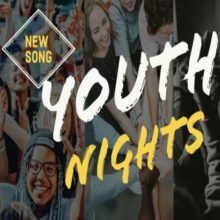 I believe you will not want to miss this one! God bless you all and enjoy the rest of your summer!